GM Lighting LEDTASK™ Standard output flexible LED tape light delivers a light output of 115-Lumens/ft with 3000K color temperature and 83 CRI. This 96-Inch tape light has power rating of 1.52-Watt/ft. It offers average life of 50000 Hours. Bulb has white high reflectance baked enamel finish. 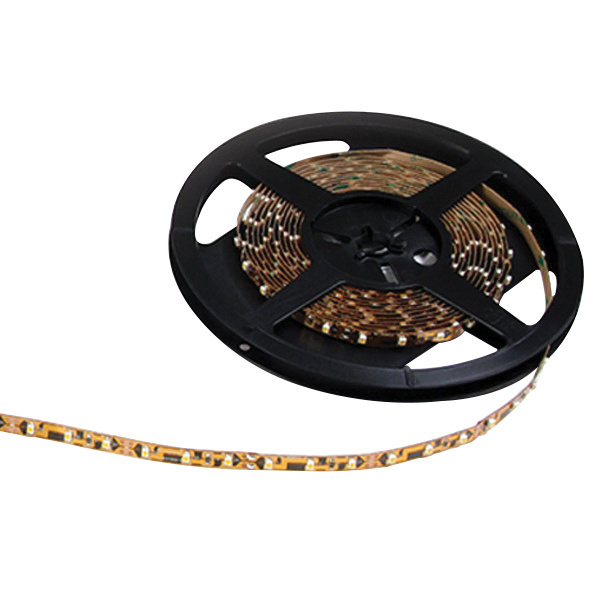 This 30-m dimmable tape light features heavy die-formed steel channel. It has voltage rating of 12-Volts DC and current rating of 12-Amp/reel. It measures 1/8-Inch x 5/16-Inch. It has a viewing beam angle of 120-Degrees. Strip light has an efficacy of 107 LPW and is surface/suspended mountable. Tape light is ETL listed.